Azam Khan, Leader of Samajwadi Party, have been booked under sedition charge after controversial remarks against the Indian Army. Two separate police complaints were lodged against the senior Samajwadi Party leader on Thursday over his controversial remarks against the Indian Army. Separate complaints were filed at Hazratganj and Gautampalli police stations. The complaint at Hazratganj was lodged by Janki Sharan Pandey. 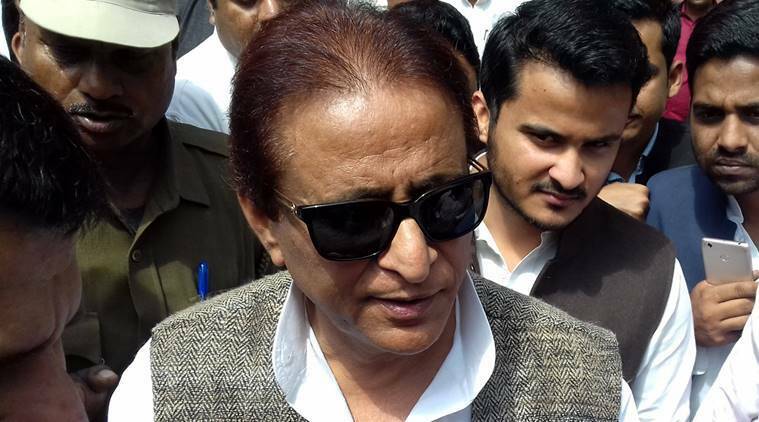 In Bijnor, FIR against Azam Khan was filed by Vishwa Hindu Parishad (VHP) leader Anil Kumar Pandey at Chanpur police station. Station House Officer, Chandpur police station in Bijnor, Ajay Kumar said the FIR was filed under IPC section 124 A (Sedition), 131 (Abetting mutiny, or attempting to seduce a soldier, sailor or airman from his duty ) and 505 (Statements conducing to public mischief). Earlier Azam Khan, in a shocking remark, said that the excesses of the Army in Jammu and Kashmir and other sensitive areas forced women to chop off the private parts of soldiers in revenge. “Soldiers have been beaten by women in Kashmir, Jharkhand and Assam and their private parts were also chopped off… India’s truth is that women are forced to act against Army rapists. It is a message that Hindustan should be ashamed of,” Khan said. In yet another hoopla, advocate Rajesh Kumar Awasthi, VHP’s Shahjahanpur district secretary in Shahjahanpur announced a reward of Rs 50 lakh to anyone who cuts off Khan’s tongue.